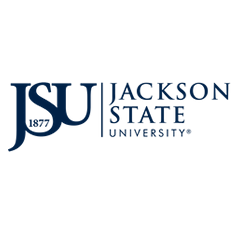 JSU Global will host two faculty-led study abroad interest meetings. 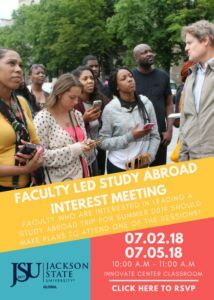 Faculty can attend the meetings either in person in the Innovate Center classroom or they can log on to webinar, but all interested faculty must register via the form below. Both the in-person and online presentations are scheduled for 10 a.m. July 2nd and July 5th. Which interest meeting will you attend?